Teaching students how to paddle along Cat Point Creek at the Menokin Foundation. One of the best parts of my job is running the program, A River Runs Through Us (ARRTU), which is a year-long Meaningful Watershed Educational Experience (MWEE) for all sixth graders in Essex, Lancaster, Richmond and Westmoreland Counties. We just completed our second year of the program through NOAA B-WET funding and the numbers I just put together are amazing. First off, the teachers and administrators I have been working with over the past two years are out-of-this-world awesome. 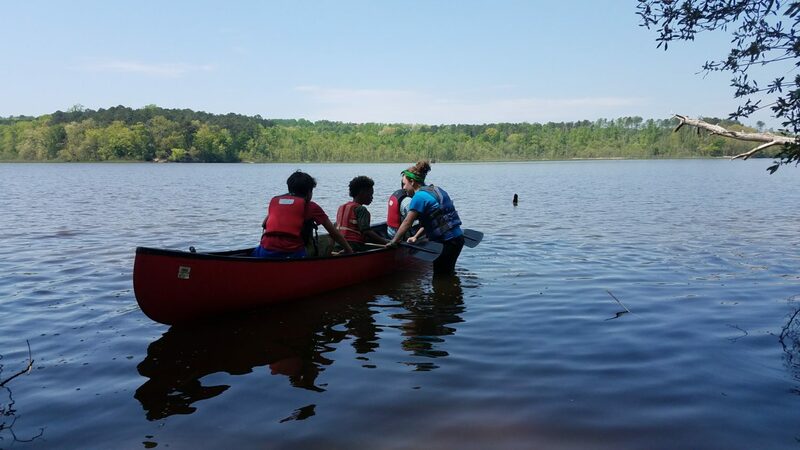 Mychal Molnar from Lancaster, Patty Ptucha from Richmond, Rebecca Beale from Westmoreland and Cressandra Layne from Essex have made integrating environmental education and field experiences into their curriculum almost effortless. I have had so much fun working with them, learning from them and also teaching them about the environment. In the 2016-2017 school year FOR worked 21 partner organizations to provide field experiences, lead in-class lessons and plan for the 2017-2018 school year. Together, we have worked with 393 students, 35 teachers and 18 administrators this school year. Teachers and administrators have spent 411 hours developing the program, attending professional developments and implementing lessons. This year we built floating wetlands, cleaned up throughout Warsaw, planted a bioswale, built oyster sentinels, made water conservation commitments, learned about rain barrels and learned how to Save the Crabs, Then Eat ‘Em. 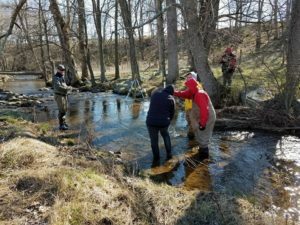 Teachers and administrators went from the Bay to the headwaters of the Rappahannock River through professional development retreats that always seemed to leave them wanting more. Since the Fall of 2015, 945 students, 63 teachers, 26 administrators and 21 partner organizations have participated in ARRTU. Without every student, teacher, administrator and partner, ARRTU would not be possible. I am beyond proud to be part of such a successful program that I am excited to expand to King George and Middlesex Counties this coming year! Although I’m sad to see summer pass quickly I am pumped to get this program going with another year of great students! Thank you to everyone that makes this program possible.